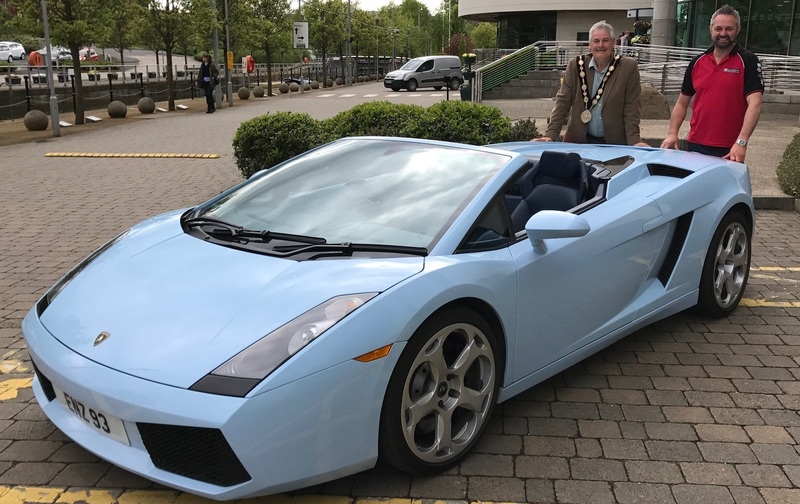 As we approach our annual show at Lagan Valley Island, we organised a visit with the mayor Cllr Tim Morrow to let him see what kind of delights will be exhibited on the 26th. Needless to say we needed something a bit special! 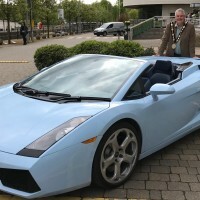 Johnny McCall brought along his Gallardo Spyder to let the mayor have a look around an Italian supercar. I think it is safe to say that the mayor enjoyed the bark of the V10 engine. Our show starts at 1000 hrs on the 26th. If you have (or love) Italian vehicles you will be very welcome. See you then.